Over the years and across the miles, my clients have come to me from all walks of life, all genders, a wide range of ages and across the economic spectrum. Being organized helps you do whatever you do. Is what you do on this list? What do you do? Let me know. Transitions can be difficult. Life today is complex. Sometimes a string of events can throw you off track. Life just keeps coming at you! I can help you make it easier. transitioning – from ??? to ??? 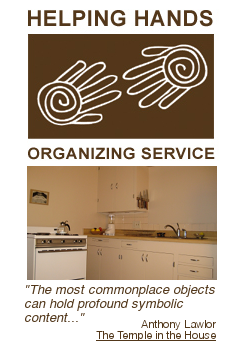 My home is in the beautiful Sonoran desert of Arizona, but I gladly go around the world to organize people, homes and offices. I’ve organized people in the following locations. Have label-maker, will travel. Where do you live?